Ravel was born in Ciboure, part of the French Basque region. His mother was Basque, while his father, was a Swiss inventor. At age seven, Ravel began piano lessons and, five or six years later, began composing. His parents encouraged his musical pursuits and sent him to the Conservatoire de Paris and studied music under Gabriel Fauré for a remarkable fourteen years. During his years at the Conservatoire, Ravel tried numerous times to win the prestigious Prix de Rome, but to no avail. After a scandal involving his loss of the prize in 1905, Ravel left the Conservatoire. While many critics claim Ravel was influenced by composer Claude Debussy, Ravel himself claimed he was much more influenced by Mozart and Couperin. He was also highly influenced by music from around the world, including jazz and folk songs. Though Maurice considered his small size and light weight an advantage to becoming a pilot, during the First World War, Ravel was not allowed to enlist as a pilot because of his age and weak health. He worked with ballet choreographer Diaghilev who staged Ma mère l’Oye and Daphnis et Chloé. The latter was commissioned by Diaghilev with the lead danced by the great Nijinsky. Stravinsky once described Ravel as "the Swiss watchmaker" of music, because of Ravel's painstaking attention to detail. Ravel himself described a work of art as "a ripened conception where no detail has been left to chance". 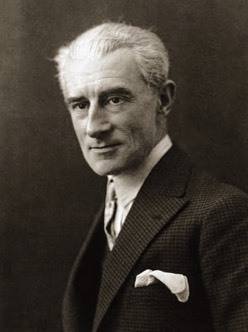 In 1920, the French government awarded him with the Légion d’honneur, but Ravel refused. In 1928, Ravel for the first time began a piano tour in America. His numerous concerts and piano recitals received an enthusiastic reception, and he was introduced to celebrities from the worlds of art. He also met George Gershwin and the two became friends. Ravel's admiration of American jazz led him to include some jazz elements in a few of his later compositions, especially the two piano concertos. Ravel made one of his few recordings when he conducted his Bolero with the Lamoureux Orchestra in 1930. His few students included Maurice Delage, Manuel Rosenthal and Ralph Vaughan Williams. In 1932 Ravel was involved in an automobile accident that severely undermined his health. 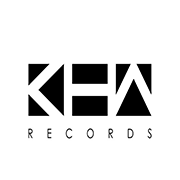 His output dropped dramatically. In 1937 he had a neuro-operation that he hoped would restore much of his health, but the operation was a failure. On 28 December, 1937, Ravel died in Paris. The composition, commissioned by the celebrated Russian ballerina Ida Rubenstein, moves with a persistent Spanish dance rhythm and is constructed on just two musical phrases repeated with an obsessive, constant movement of melody and tonality. Bolero was first performed in Paris in November 1928, and the ballet, being very original and provocative, obtained clamorous success. The first version of the Rapsodie was for two pianos composed during the summer of 1907, rapidly followed by a renowned transcription for orchestra. The work reflects the profound influence of the Spanish musical heredity that was transmitted to him by his mother who was of Basque origin. This “choreographic poem”, originally commissioned by Sergej Diaghilev, was composed between December 1919 and April 1920. The first version for two-hand piano was quickly substituted by a second version for two pianos, accurately elaborated; from the latter, the orchestral transcription that made the work famous was contrived. Ravel’s written treatment of the ballet reads: Clouds whirling lets one glimpse at couples dancing the Waltz. Little by little, the clouds dissolve: an immense room appears, populated by a swirling crowd. The scene slowly becomes clearer. At the fortissimo, lamplights shine. Set in an Imperial Court, about 1855.